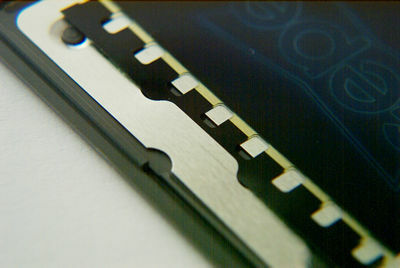 During the projection the unique metal-mask reduces the curving of the film caused by heat influence and at the same time provides absolutely sharp projection edges. 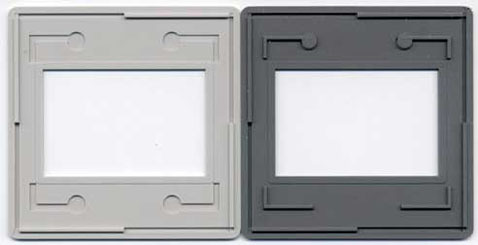 2 mm (Type LKM) fits all Standard and DIN slide trays & 80/10/120 round trays & LKM and Paximat trays. 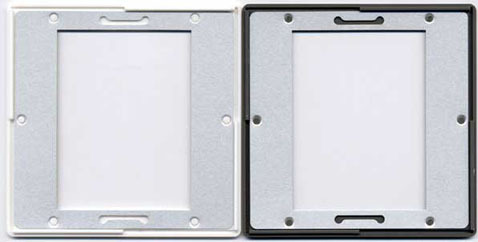 The CS mounts fit in all existing CS slide trays on the market. 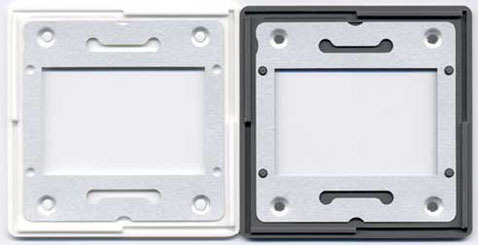 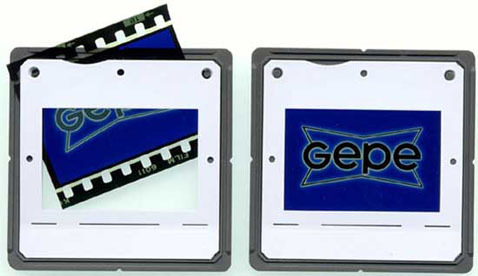 The slide-in type is mounted very fast with the Gepe CS mounting system. 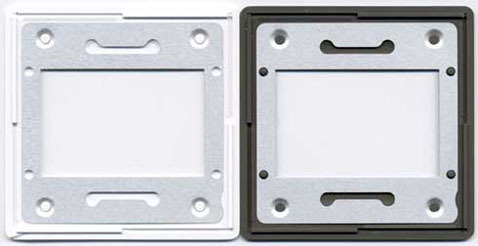 1,8 mm (CS) specially designed for CS slide trays.